As a farm to school site, I have been truly blessed to be watch so many things grow....I growing far more than I could ever imagine. Two years ago, I was asked around this time if I wanted to use a farm to school grant that was just "sitting there". It was my first year in science after 20 years in the regular ed classroom... and I was growing as a science teacher...why not take the grant. The first year...magic happened. I bought some worms...taught about vermicomposting...planted some seeds with all 400 students...dug some holes...laid some raised beds...and the rest is history. Magic seeds I say! Magic seeds. It changed my life...really. I learned to plant a garden right along with my students. The first year, we planted over 15 beds...that number grew to include over 25 this year and over 20 types of herbs, not to mention a strawberry patch. This next year...even more...and other projects to boot! Each new year...2015...I start formulating in my mind what we want to accomplish for the new garden season. I get really excited...I even bought seeds today...really. Peas, arugula, and spinach. Seeds for our new winter growing season of microgreens and even chia pets with the art teacher! Stay tuned. Onto my new path...this year, I am presenting at the Farm to School Summit for the state of Wisconsin. 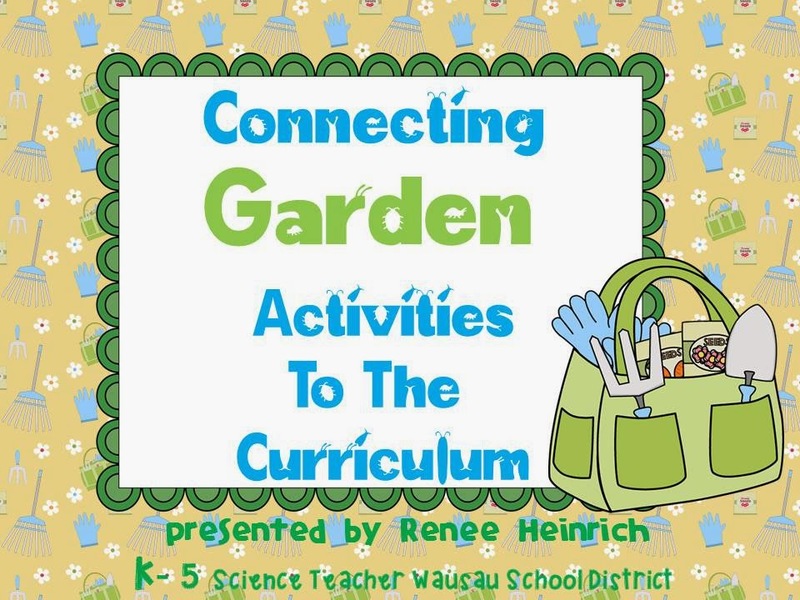 I just finished my presentation and am really excited to share how amazing planting a seed can be for students and their teachers. I am including the presentation for you to see and maybe get growing yourself... Let me know what you think...any feedback would be appreciated. To new adventures in the new year!